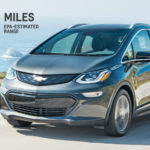 While CHAdeMO had a head-start over all other DC Fast Charging systems for electric vehicles, it may be that it will lose out in the standards/market-share competition to retain relevancy. We are plagued with three (four counting the Chinese) competing DC fast charging systems, when we as electric vehicle consumers need there to be one standard. One issue is charging speed, with both the Tesla Supercharger and the Combo Charging System protocols both having announced a path to truly high speed charging. Perhaps in response, the CHAdeMO organization has announced support for higher charging power, and has staged a demonstration. On March 24, 2017 the CHAdeMO Association approved version 1.2 of the CHAdeMO spec . The revision raised the maximum charging rate to 400 amps, raising the maximum possible charge rate to 150 kiloWatts. On March 30, the Association held a public exhibition , with the picture above coming from their announcement. It shows a curious assortment of EV’s, including a BMW i3 which outside Japan uses the Combo Charging System. And, there’s a Honda vehicle, curious since Honda is doing so little work about EV’s. There must be a Kia Soul EV present, since we’d seen news months ago of that car being tested against a 100 kiloWatt CHAdeMO charging station. 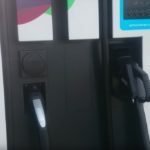 A couple months ago the CHAdeMO Association announced a trial of 30 kiloWatt wireless charging using the CHAdeMO protocol. 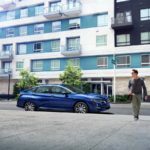 It was performed by INTIS (Integrated Infrastructure Solutions GmbH), who integrated CHAdeMO with their wireless charging platform, including a system to position the vehicle over the charging plate, and detectors for foreign objects and living objects. This isn’t a productized thing, but instead was a technology demonstration showing the capability of adding high power wireless charging to any vehicle with a CHAdeMO inlet. Together these are two steps in which CHAdeMO may retain relevancy in the face of increased competition. CHAdeMO’s head start means, for example, mature charging station availability with 240 certified CHAdeMO-compatible stations, with almost 14,000 stations installed in over 50 countries on five continents. Those are impressive numbers, but with the new vehicles equipped with Combo Charging System orTesla Supercharger, won’t CHAdeMO be surpassed soon? Especially outside Japan? The reason I said “retain relevance” above is the observation that the CHAdeMO cannot rest on its laurels. 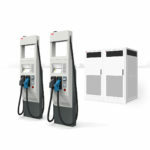 The problem will be, what company is going to invest to build a coast-to-coast CHAdeMO network that would compete against the Tesla Supercharger network. The Combo Charging System may also become irrelevant unless a company invests in building high power coast-to-coast CCS coverage. It’s Tesla Motors that had the vision to not only build a coast-to-coast charging network, but the willingness to invest in its construction. And not just in the USA, but in Europe and Australia and China and elsewhere. I’ve heard the CEO of ChargePoint say their team had identified the locations required to build a coast-to-coast fast charging network, but they’ve shown very little willingness to move forward on that plan. Over half of the total CHAdeMO deployments are in Japan. Japan is a small place compared to North America, Europe or elsewhere. Whether CHAdeMO remains relevant outside Japan depends on not just improving the technology. Moving to 150 kW is a great step forward, but it won’t make any difference unless higher powered charging stations are installed widely enough to make an impact. By the end of the year Tesla Motors is promising to open a firehose of Tesla Model 3 deliveries. 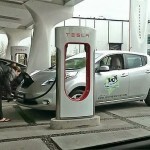 Those drivers will have continent-wide charging support in North America, Europe, Australia, China, etc. That should prove so tantalizing to electric car buyers that it’ll limit sales of other EV brands. Unless, that is, there’s a concerted effort to install CHAdeMO and CCS 150+ kiloWatt fast charging in a significant way. But is there any sign of such a plan? Maybe Europe has such a plan, but not here in America. We can’t count on the fossil-fuel-friendly Trump Administration to get on the EV charging infrastructure bandwagon. 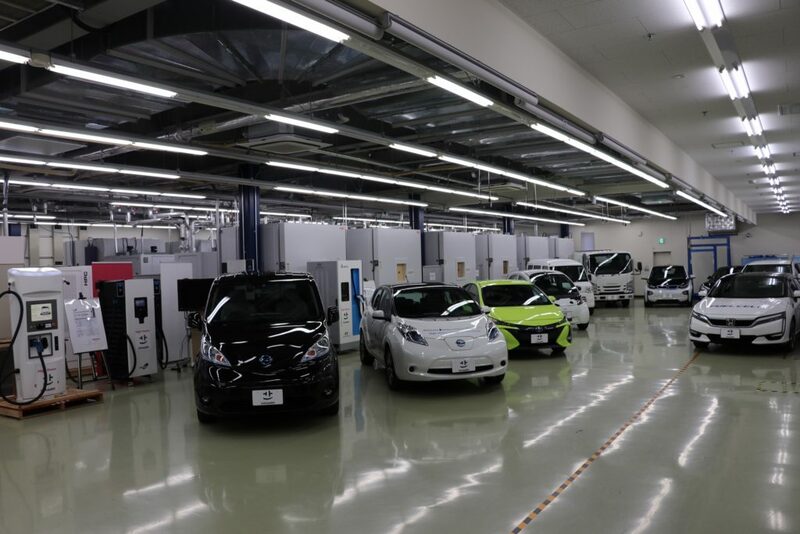 I feel it hard to avoid the conclusion that CHADEMO is the Betamax of charging: it is a full-fledged, supported standard that, for one reason or another, the bulk of the manufacturing world chose to leave behind. I’m glad CHADEMO is still engaged in proving its relevancy, but CCS seems to have won out with all non-Japanese manufacturers. It is another cautionary tale in getting out too far in front.